Tom Larson is having trouble finding a wife, and Jessica Reynolds decides to help him overcome his awkward and clumsy manners so he can attract women. 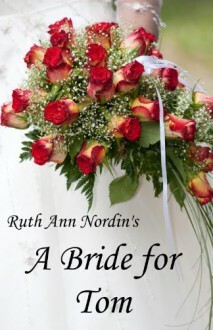 *Please note: This novella used to be in the book titled A Bride for Tom and A Husband for Margaret: 2 Novellas in 1 Book. So if you bought that book, you don't need to buy this one. Jessica and Tom are very likable characters and so are their family and friends. I enjoyed the story and look forward to reading the others in the series. Tom is as sweet as can be, as is Jessica. Loved their parents too. Supportive and pretty forward thinking for the time this book is set. This was such an interesting and wonderful book. This was a great clean romance. Very interesting read with well developed characters and a great plot. This would be a perfect book for a young teen to read. This was a free book in the Kindle Store.